Read moreAre we confused yet? When writing a family history, one must decide how much research they wish to complete regarding the various sidelines of a family. Do you trace the main descendant line back and also trace down all of the siblings lines? If you do that, how many generations do you want to research? For my personal trees, I research as far as I can go. My reason for this is that by finding cousins, I have received some great finds. I’ve gotten photocopies of the German family pages from a descendant of the writer Zane Grey about our shared Wilhelm ancestors, a copy of pen and ink drawing of my 4th (or 5th) great-grandfather, and loads of information that helped point me in a direction for further research! Other researchers only focus on their direct lines, sometimes discovering that they need to research siblings in order to discover information about parentage. And only doing research into the sidelines (or neighbors) as needed. For the Scholefield history for this site, my goal is to trace the direct line as well as locating the vitals of the sibling’s spouses and the birth information for each of their children. To reach that goal, this post will focus on checking on any possible birth and death records for Clara Moore Scholefield’s siblings and their spouses and children. I will be running quick name searches on the usual sites (FamilySearch, Ancestry, and AZ Genealogy). Clara was the daughter of James Armour Moore and Matilda Jane Burnett. Matilda Jane Burnett had married first John V. Crampton. Their children, and therefore Clara’s Half siblings, were: Mary E., Sarah J., and John F.
Based on the census, Mary E. was born about 1857 in California.1 She married Henry Fitzgerald in 1874. 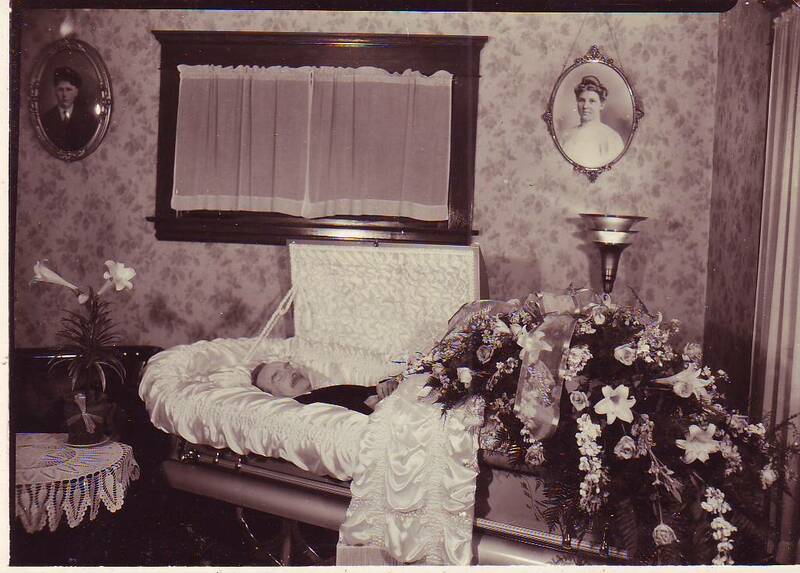 An article about her brother-in-law Charles Kenyon mentions that she was a widow who lived in San Francisco.2 She looks to have died before 1940 which is the date that Ancestry’s California Death Index begins. The indexes at VitalSearch don’t contain enough information to identify which of the many Mary Fitzgeralds might be the one we are looking for. I also checked several likely indexes. Nothing further about this family can be located through these sources at this time — census records are next. Sarah Jane was born on 6 Dec 1857 in California and died 14 Dec 1957 in San Diego County, California.3 She married Charles Kenyon in 1872.2 He was born in 1840 in New York and died in Dec 1906. Maud B. was born in New York. Clara’s full siblings were Susan A. and J. Arthur.